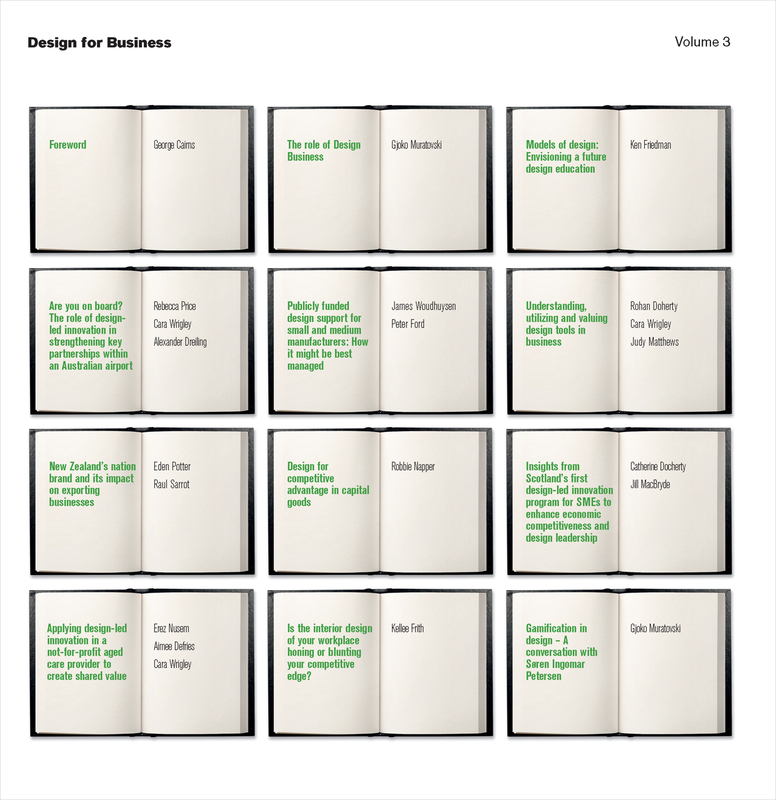 This collection continues the successful Design for Business series, gathering work by scholars, researchers, and professionals that aim to raise awareness of design as a strategic business resource by consolidating it with other divergent, yet highly influential fields. Volume 3 covers such topics as the branding of a nation, care for the aging, public transportation, airports, workplace interiors, manufacturing, economic competitiveness, and public funding for new product development. First presented at the Design for Business research conference in Melbourne, Australia, the contributions assembled here will together keep pushing the interaction of design and business forward in productive, innovative ways. Is the Interior Design of Your Workplace Honing or Blunting Your Competitive Edge?